AND UNITE TO DESTROY IT! In this action-packed adventure, draw shapes to morph your squad into a whip, hammer, sword, and more! Grab your friends and customize your teams into a mighty fighting force! 07-26-2016 aliensstudios Box Text 100 Heroes Face Pure Evil… AND UNITE TO DESTROY IT! -Teamwork is Key UNITE MORPH In this action-packed adventure, draw shapes to morph your squad into a whip, hammer, sword, and more! -Up to 5 Players MULTIPLAYER MISSIONS Grab your friends and customize your teams into a mighty fighting force! 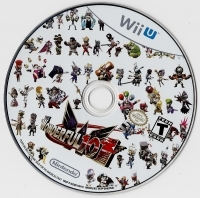 This is a list of VGCollect users who have Wonderful 101, The in their Collection. 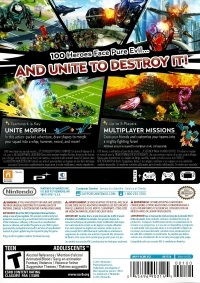 This is a list of VGCollect users who have Wonderful 101, The in their Sell List. 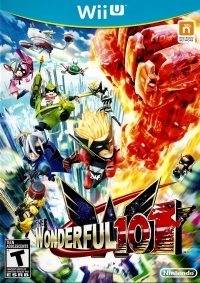 This is a list of VGCollect users who have Wonderful 101, The in their Wish List.